Athena Welsh collected her third win of the season at the All-Ohio Championship. Athena Welsh, who represented St. Thomas Aquinas during her high school career, secured first place in the 6K race at last weekend's All-Ohio Intercollegiate Championship due to her 21:01.50 effort. 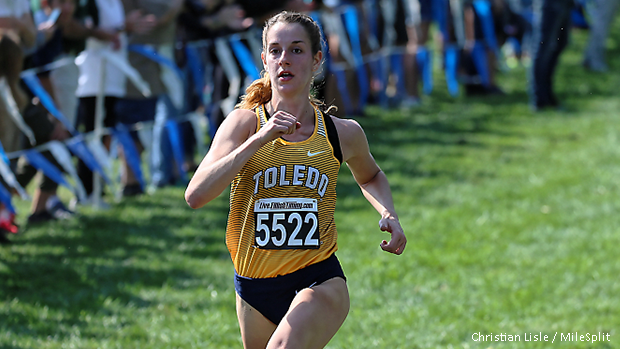 The University of Toledo athlete led her squad to a resounding win in the team standings with 32 points. Walsh University placed second with 105 points.